Starting on Tuesday 27 March 2012 is a further three day appeal of R v Waya, which was originally the subject of a one day hearing in May 2011. The extra hearing is scheduled in order to hear representations on a number of important issues of principle in relation to the Proceeds of Crime Act 2002, which were not fully explored at the original hearing, and will be heard by a panel of nine (Lady Hale, Lords Phillips, Walker, Judge, Kerr, Clarke, Wilson and Reed and Sir Anthony Hughes). For a summary of the facts please see this blog post. 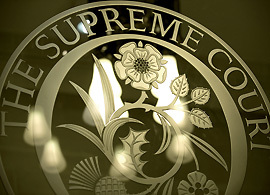 The Supreme Court is to determine whether a person obtains a “benefit” from their conduct in the form of property within the meaning of the Proceeds of Crime Act 2002, Pt 2 when they have obtained money by deception and caused a lending institution to transfer funds to their solicitor for the purpose of a mortgage advance to enable them to purchase a property. Case details are available here. 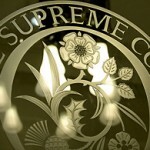 On Wednesday 28 March 2012 the Supreme Court will hand down judgment in the Employers’ Liability Insurance “Trigger Litigation”. It’s a very busy week in the Privy Council, with seven Mauritian appeals scheduled. The bench throughout is Lords Hope, Brown, Mance, Dyson and Sumption. On Monday 26 March 2012 are the appeals from the Supreme Court of Mauritius of Dookee v The State of Mauritius and anor and Sakoor Patel and ors v Anandsing Beenessreesing and Sicom Ltd. In Dookee it is for the Judicial Committee to determine whether the appellant’s conviction for aiding and abetting murder is unsafe, and Sakoor Patel relates to the reduction of damages on appeal. On Tuesday 27March 2012 is the hearing of Li Cheng Ling Kaw v Societe Piang Sang Pere et Fils and Mr Chong Fee Ng Wong, an appeal from the Supreme Court of Mauritius relating to whether the appellant was validly represented in proceedings brought by the first respondent. Sakoor is listed for an additional day if necessary. On Wednesday 28 March 2012 is the one day appeal of Rooplall Beerjeraz & ors v Mrs Moonesh Amrita Dabee, which concerns the equitable principles of the sale of a plot of land. On Thursday 29 March 2012 is Smegh (Ile Maurice) Ltée v Dharmendra Persad, an employment matter where it is for the Judicial Committee to decide whether sufficient weight was given to contradictions in an employee’s evidence in an unfair dismissal hearing. Finally, on Friday 30 March 2012 are the appeals of Margaret Toumany and anor v Mardaynaiken Veerasamy and Lamusse Sek Sum & Co. v Late Bai Rehmatbai Waqf, both appealing on jurisdiction issues. There are no hand-downs scheduled in the Privy Council this week. Petroleo Brasileiro S.A. v E.N.E. Kos 1 Ltd, heard 12 – 15 January 2012. Homer v Chief Constable of West Yorkshire Police and Seldon v Clarkson Wright and Jakes (A Partnership), heard 17 – 20 January 2012. Stanford International Bank Ltd (acting by its joint liquidators) v Director of the Serious Fraud Office, heard 23 – 25 January 2012. Assange v The Swedish Judicial Authority, heard 1 – 2 February 2012. R (KM) (by his mother and litigation friend JM) v Cambridgeshire County Council, heard 7 – 9 February 2012. Test Claimants in the Franked Investment Income Group Litigation v Commissioners of Inland Revenue and anor, heard 20 – 29 February 2012. R (HH) v Deputy Prosecutor of the Italian Republic, R (PH) v Deputy Prosecutor of the Italian Republic, Genoa, BH (AP) and another v The Lord Advocate and another (Scotland), KAS or H (AP) v The Lord Advocate and another (Scotland) and Genoa Filipek-Kwasny v Polish Judicial Authority, heard 5 – 8 March 2012. NJDB v JEG & Anor, heard 13 March 2012. Humphreys v The Commissioners for Her Majesty’s Revenue and Customs, heard 14 – 15 March 2012. Perry & Ors v Serious Organised Crime Agency and Perry & Ors (No. 2) v Serious Organised Crime Agency, heard 20 – 23 March 2012.
followed by my own personal views on the confiscation regime under PoCA 2002. Leave a reply on "In the Supreme Court w/c 26th March 2012"